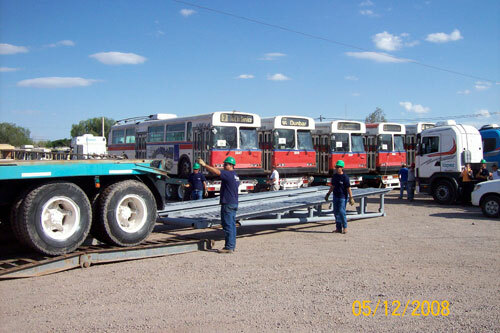 Retired trolleys on a flatbed truck, arriving in Mendoza! This is the first group of our trolleys that have reached Argentina. 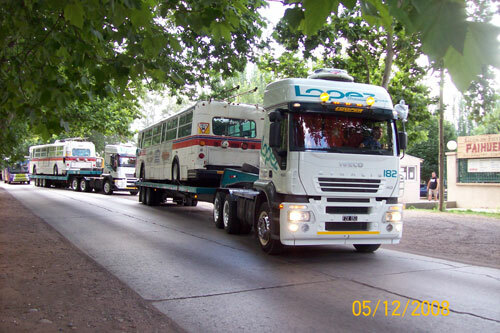 The trucking company is using 12 trucks to move the trolleys, which means they will do seven round trips between Chile and Argentina, and all the trolleys will finally be in Mendoza by the end of January. Trolleys in the yard at Guaymallen. 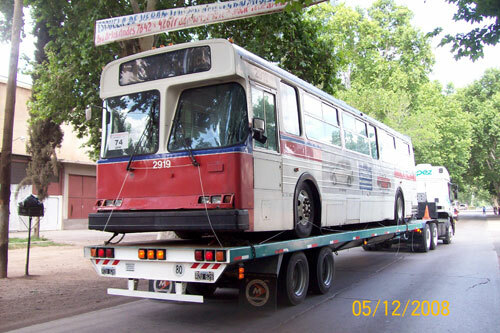 The trolley numbered 2919 was the first to be unloaded on Argentine soil. Jorge says it was unloaded at 4:30 pm local time. 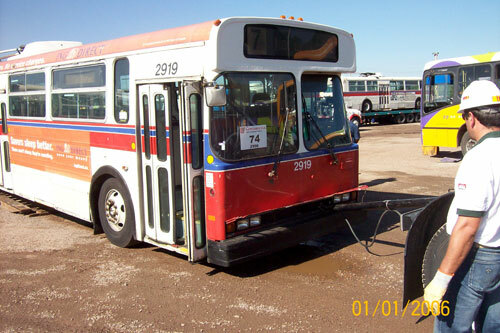 Trolley 2919 was the first to be unloaded in Argentina. And Jorge got to be the first to sit in the driver’s seat of the 2919! Hello Jorge! 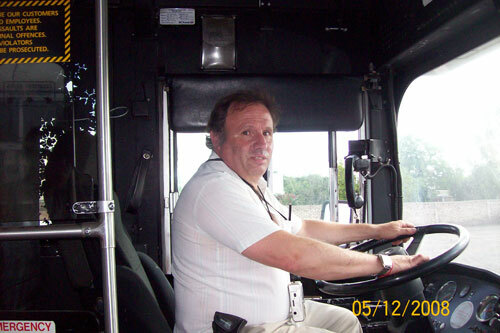 Our kind friend from EPTM gets in the drivers seat. The article from earlier indicates that the trolleys won’t be hitting the roads until the 2009 harvest is over. 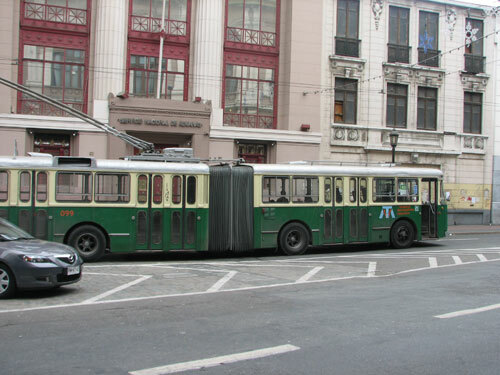 The trolleys will be repaired, repainted and adapted so that they can work on the trolley system in Mendoza. 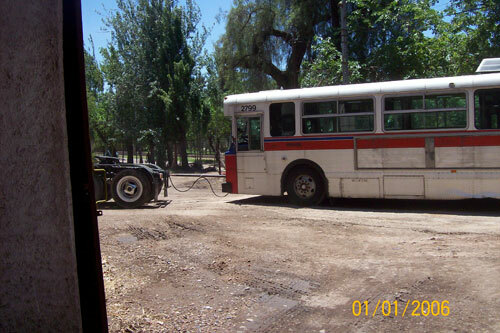 By the way, Jorge maintains a blog about the trolley system in Mendoza. Interested parties are encouraged to visit! A trolley being towed around the yard. 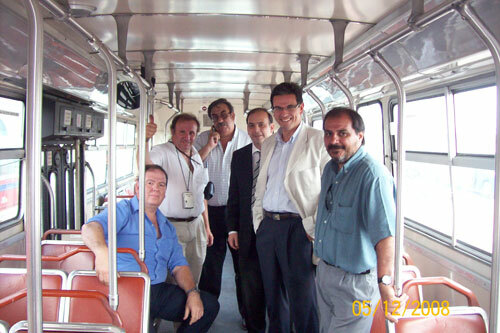 And here is a picture of the Mendoza staff aboard our buses! EPTM staff aboard their new trolleys! And for all of you who are really curious, Jorge also sent along maps of the trolley routes that our trolleys will be travelling along. Click here to download them. Now, since we’re already thinking of trolley systems down South America way, I will attach a few photos sent in by David, who comments on this blog every so often. 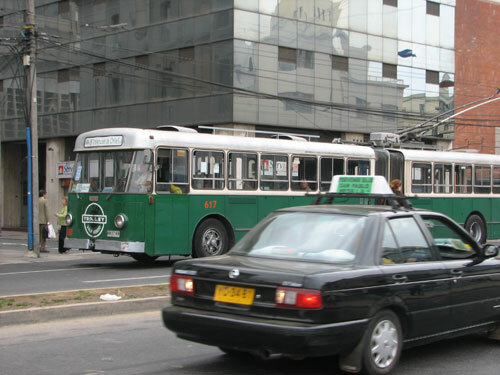 These are from the city of Valparaiso, Chile, and it’s a few shots of the trolley buses there. 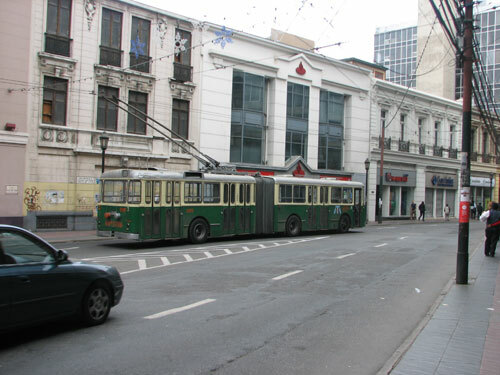 A trolley in Valparaiso, Chile. Another trolley in Valparaiso, Chile. And one more picture of a trolley in Valparaiso, Chile. Just thought I’d point out that the link to Jorge’s blog is broken; the URL to that blog is appended to the end of the URL of this blog post.